As university students, I'm sure that many of us will agree that it can sometimes be difficult - if not IMPOSSIBLE - to gather the motivation to establish and maintain a regular workout routine. 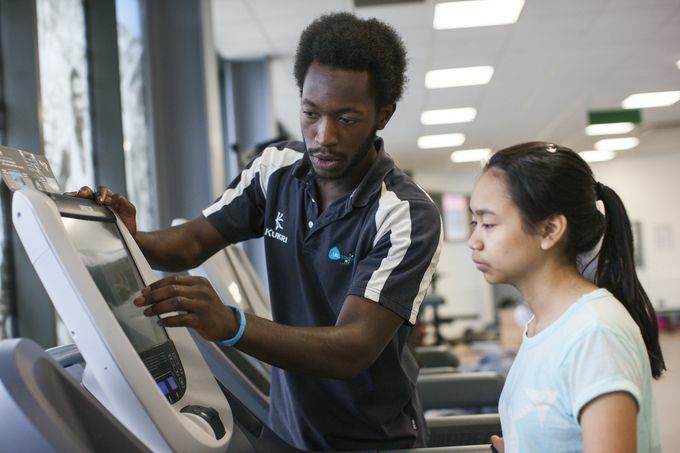 The stress of student life, upcoming deadlines and student finance can sometimes get a little too overwhelming, and a lot of the time, staying active doesn’t make the top 5 on your list of priorities. Staying active provides you with so many amazing benefits! The advantages include increased levels of concentration, better sleep quality, improved complexion and endorphin levels and decreased stress levels (which is a must). Whether it’s just going for a brisk walk, getting in some low intensity cardio or even aerobics, remaining active is crucial. 1. Motivate yourself: Let’s face it, sometimes we all have to “just do it!” We’ve all been told repeatedly when in secondary school and Sixth Form/ College, that if we want the results and we want to eat the fruits of our labour then we really must put the work in. Remind yourself of all the benefits that will follow, to keep yourself in high spirits. 2. Hydration: Remaining hydrated is incredibly important. I can’t begin to stress this enough. Individually, your levels of necessary water consumption depend on your height, weight and levels of exercise. If water isn’t on your list of favourite drinks, that’s cool because there are different ways of getting your hydration levels up, for example, through herbal teas and fresh juices. My personal favourites include Holland and Barrett’s Green Tea with Moroccan Mint and Raspberry Leaf Tea. 3. Shake your diet up: Sure, ordering fast food is easy, especially when online takeaways are only a few clicks away. However, cooking is a vital life skill and there are several simple recipes online for beginners that can help and encourage you to make quick, delicious, and cost efficient meals that most importantly, are homemade. In the coming weeks, I will also be sharing some of my own recipes, including spicy sautéed spinach and baked chilli sweet potato chips. Incorporating and replacing the regular chocolate bar or energy drink with healthy options such as raw fruits, vegetables, smoothies and nuts into your daily diet will really help you wean yourself off addictive and sugary snacks. 4. Take it in steps: Don’t be so hard on yourself. It is incredibly crucial that you treat yourself with respect. Take it slow if you need to. You could start by perhaps using the stairs instead of the lifts. The more flights of stairs, the better. Running haphazardly into an extreme work out regime just won’t work. Gradually building up your athletic ability is the key. 5. Mix it up: There are various exercises that suit different people, so find one that works for you. Testing different activities like low to high intensity cardio, home workout videos (I recommend videos by The Body Project on YouTube), yoga or aerobics can provide you with a taste of what is out there. Furthermore, find a work out pal who will motivate you, and you them. Getting fit is an incredible and unforgettable journey, which encourages you to push yourself to be the absolute best version of yourself in several aspects of life.